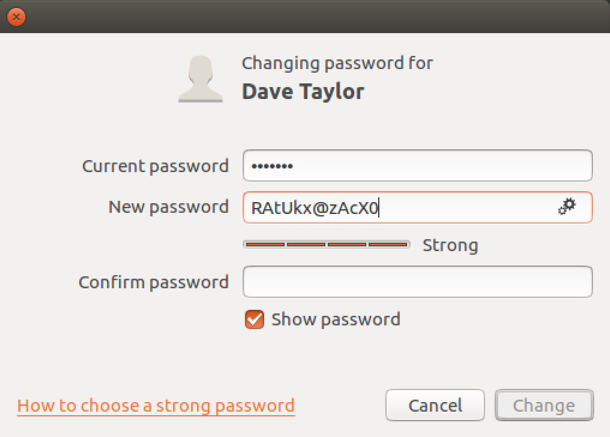 / How to Change my Ubuntu Linux Account Password? 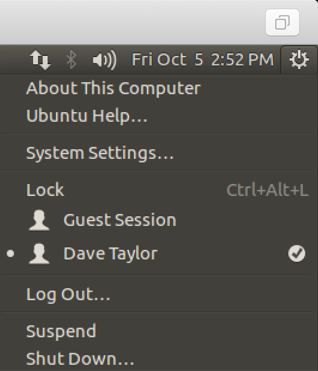 I’ve been using Ubuntu Linux and really enjoying it, but am stuck; how do I change my account password? Every time I try, I end up in some password archive library and don’t know how to proceed! Frequently changing your account password is such a good idea that you’d think it would be super easy to accomplish on any operating system, whether it’s Android or Windows, Mac or Linux. But most make it a chore and a hunt to find the right place to confirm your current account credentials and update your password. Different Linux flavors have somewhat different approaches, but since there are a small number of window managers, the general experience is the same. Too darn confusing. Here’s my guess: The developers who have worked on basic account management never change their passwords so they figure that most people do the same, changing their password only when required but otherwise using “ILOVEMOM” or similar everywhere.  No worries, though, I can lead you through the world of Ubuntu Linux and show you precisely where to go so you can change your password. Not only that, but there’s a hidden password generator you can use too! That “Passwords and Keys” is an archive of system and online account credentials, not your actual Linux account itself. Confusing, I know. If you’re seeing something different, you might be running a different window manager. It’ll have a slightly different path to get here, but you want to launch “System Settings…” to proceed. It totally doesn’t look like it, but the encrypted password display is a hidden button. Really. Move your cursor over it and you’ll see what I mean. Better yet, just click on the ***** encrypted password shown in the above view. You’ll need to enter the current password to validate that you have the right to change this account, but then click on the two tiny gear symbols on the right of the “New password” input box. That’s a mighty good password. Don’t like it? Click on the tiny gear icon again. Why there isn’t even an explanation or suggestion to click on this icon I cannot explain, but if you don’t explore and poke about, you’d never know it generates strong passwords! Like what it’s suggested? You should! Simply copy and paste it into the Confirm password box, make sure you have memorized it or noted it down in a secure manner, and click “Change” to lock it in. Done. 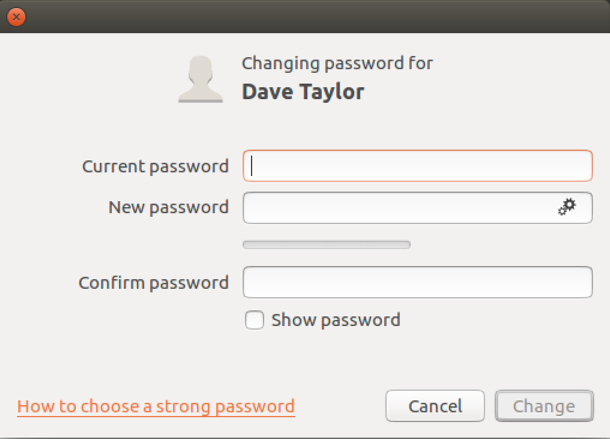 Congrats, now you have a strong new Ubuntu Linux account password. Pro Tip: We have lots of Linux help since I’ve been working in the Linux environment since the very beginning. Please do take the time to check it out while you’re here. Thanks!